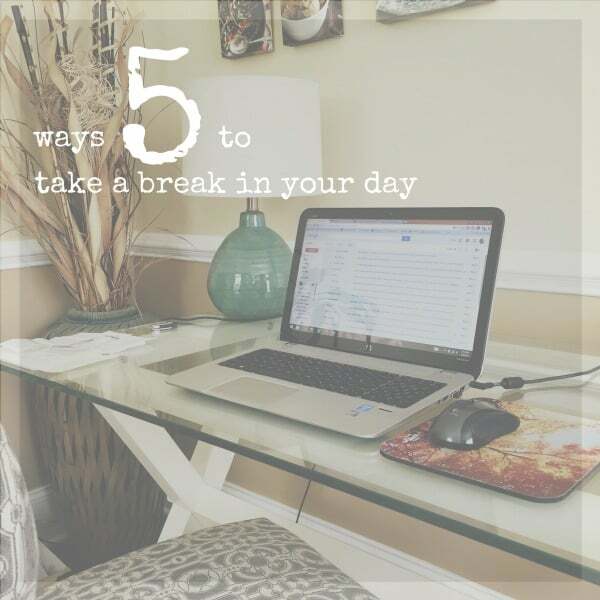 I’m a firm believer that the busier and more chaotic your day, the more important it is to take a break (or two!) at some point in the midst of all the craziness for both your mental and physical well-being. I used to be really bad at this, more so when I had an “office job” and taking a break when you were busy would be looked down upon or considered not working hard but I’ve gotten better now that the only one I report to is myself these days. Here are 5 ways to take a break in your day when you need just 15 minutes to clear your head, get out of the kitchen (that’d be me!) or just up and out of the desk chair. I recently got a Garmin vivofit which likes to tell me when I’ve been sitting too long by displaying a bunch of red lines right there on my wrist. Those red lines are my nemesis, especially when it feels like I’ve been on my feet all day (just practically standing stationary in the 2 feet of space between the sink and stove). So lately my go-to break has been a 15 minute walk to get rid of those darn lines and bank about 2,500 steps. 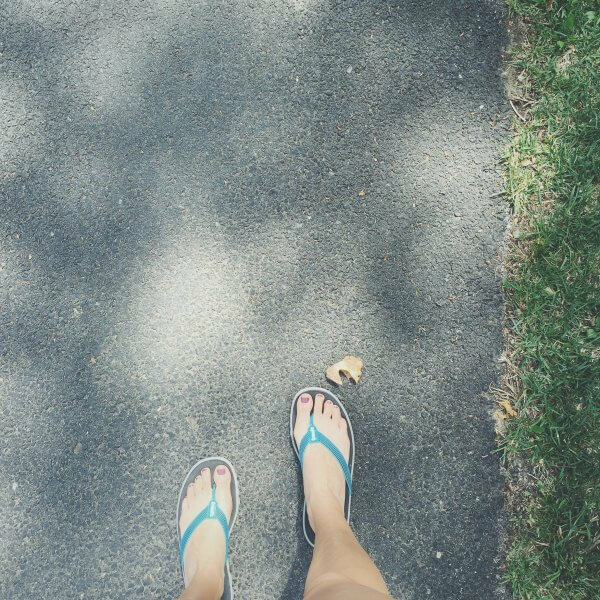 Walks are great because they not only get you moving physically but I tend to get my best ideas when I’m walking. There’s something about the change of scenery that jolts my mind into thinking differently or creatively about whatever is on my brain at that time. Can you remember the last time you read something not on your phone, computer or e-reader? It’s scary, huh? I think our eyes need a break from screens as much as our legs need to move and our brains need to think about something other than work. There are some days my eyes actually burn come 9pm and I physically can’t even look at the computer any more. Reading something like an actual book, magazine, newspaper or cookbook even is not only a great mental break (and forces you to think about something else besides work) but a much needed reprieve for our eyes. This is my favorite kind of break and usually the one that happens around 3pm every day when the urge to eat.all.the.chocolate happens. Sometimes I indulge that urge, mostly I don’t though and try for healthier snacking options especially since it’s about 2 hours before I normally workout. I’m a big believer in snacks being substantial. 100 calories isn’t going to do me any good and I need a decent balance of protein/carbs/fat to feel satiated. Handfuls of nuts, dried fruit, jerky, yogurt, crackers and veggie chips are the usual suspects. 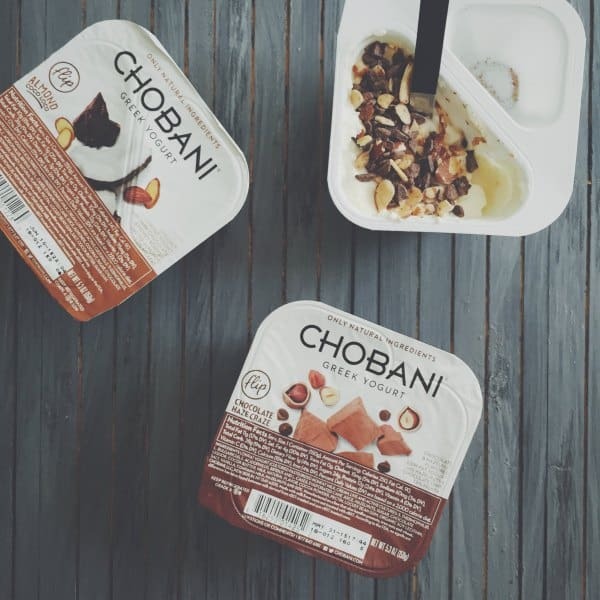 Recently, (prior to this paleo challenge) I’ve been enjoying Chobani Flip Greek Yogurt since they put so many of my favorite snacks all in one easy package. I even get my chocolate fix in with the Almond Coco Loco and Chocolate Haze Craze, my two favorite flavors. They’re texturally interesting and at about 250 calories, they actually make a dent in my unrelenting hunger. Counting down the days until I put dairy back in my diet! I don’t even know who I am writing this. The same person that can’t even get through a yoga class because I can’t turn my brain off long enough to just chill is telling you to mediate. Yep. Here’s the thing, meditation doesn’t have to be all “ohmmmm” and stuff. It can be guided thinking. That, I can get behind because turning off my brain is just not an option. Making it focus on something specific, however, I can do. Pick a topic (preferably something not work related that relaxes you), get comfortable and guide your mind into thinking about it for 10-15 minutes. If meditation didn’t throw you, I’m sure this one will. Yes, I’m telling you to clean something as a way to take a break and refresh yourself. Here’s the thing, cleaning is normally looked at as a chore we all hate doing. The things to clean (your desk, the bathroom, the kitchen…) all pile up throughout the week and before you know it, you’re spending half your weekend and/or downtime cleaning. When I feel myself needing a break in the day, I’ll pick a small area, room or surface to clean, give myself 10-15 minutes and get it done. It completely breaks the mentality of cleaning being a chore and instead makes it a welcome break in your day. Not only do you give your brain some downtime, your house or office gets cleaned in the meantime and you free up a substantial part of your weekend. Boom. Disclosure: This post was sponsored by Chobani through their partnership with POPSUGAR Select. While I was compensated to write a post about Chobani Flip Greek Yogurt, all opinions are my own. Great tips! Love all of these – especially the walking break and the “read something not on a screen” – so true! I’m so digging these steps to taking a break, especially the “clean something” one. I let things get too outta whack and need to do just a five minute fix to clear my space and my mind. Or I’ll dig into a Cho’ Flip – the coconut chocolate are my favorite! I have to go back to work tomorrow. I am going to need lots of breaks. Walking has been my lifesaver the last few months but I am probably going to switch to snacking back in the office. Such great advice – and cleaning out or decluttering things actually gives me such a great energy boost… it’s so crazy! Love this!